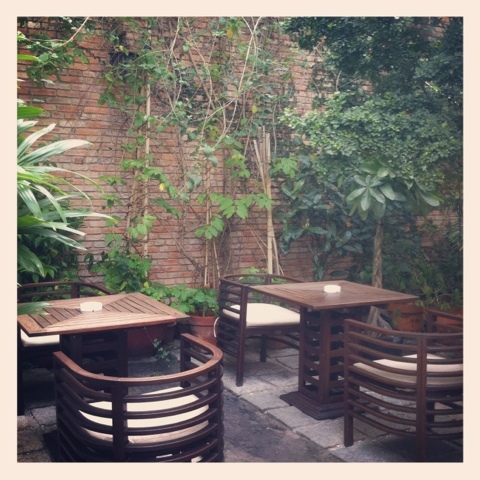 If you are looking for somewhere to stay in Ho Chi Minh City, look no further than Ma Maison. It’s a beautiful Vietnamese house in District 3, which has been tastefully converted into a boutique hotel with just 12 rooms. You’re obviously all aware of my passion for food but I don’t think I’ve yet mentioned one of my other great loves in life, hotels. Oh how I love a good hotel! Not necessarily the expensive ones (although they sometimes are) but the ones that make you feel like you are in a magical place that you never want to leave. Ma Maison perfectly fits this description thanks to the amazingly kind staff, the beautiful decor and the fantastic breakfast. There really is nothing more disappointing than a nice hotel with a rubbish breakfast. Well, other than a rubbish hotel with a rubbish breakfast, obviously. Ma Maison provided the perfect, simple breakfast and could certainly teach some bigger hotels a thing or two. or in the lovely garden outside. There’s an unlimited supply of coffee, all varieties of tea and their delicious mango juice. 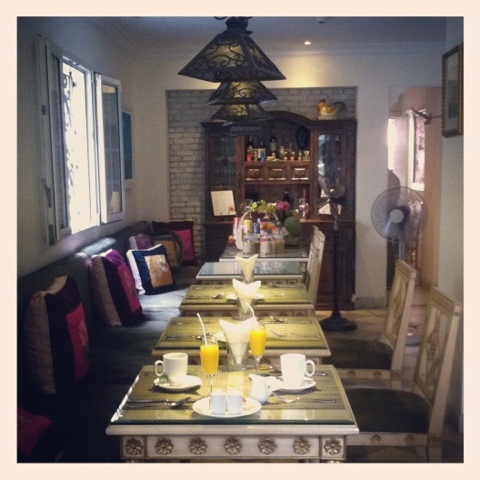 Then onto the food, there is a wide choice of things like eggs and bacon, yoghurt and muesli or traditional Vietnamese. 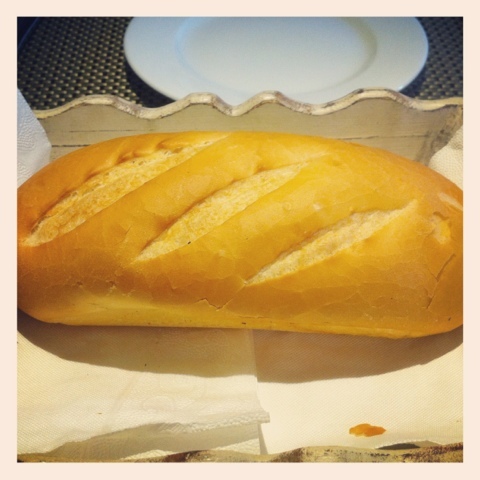 Totally delicious and perfect to provide fuel for a day packed with sightseeing. 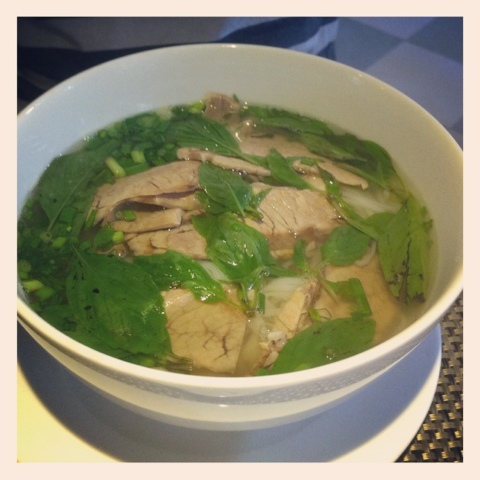 The broth was like nothing I have ever tasted in England, really fragrant and fresh. Next you get a freshly baked baguette, still warm from a bakery only 200 meters away, with lots of butter, jam and marmalade. If you like your baguettes crisp on the outside and fluffy on the inside then you will be in heaven. We were also offered eggs at this stage but couldn’t possibly manage after all that food. 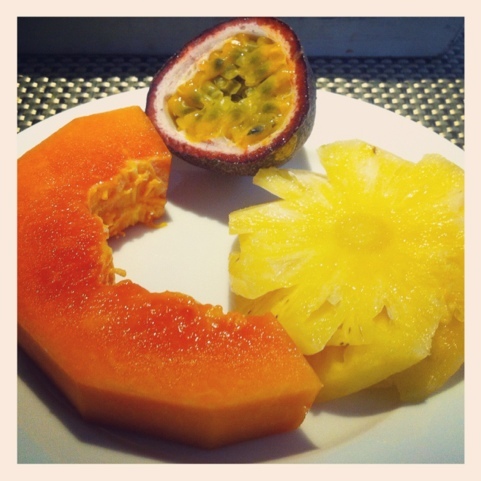 A fruit platter is of course a different matter, got to get your five a day! 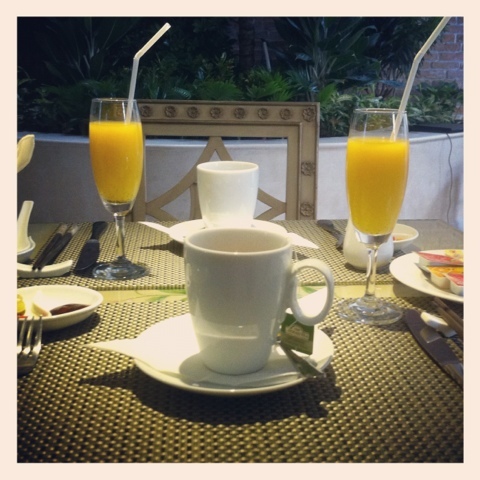 To top it off, unlike many hotels, they were happy to serve breakfast at any time to suit. Today we went for 9:30 but yesterday, before a trip to the mountains, they were more than happy to serve us as 6:45 and even insisted that we took along an extra baguette to keep up our energy! 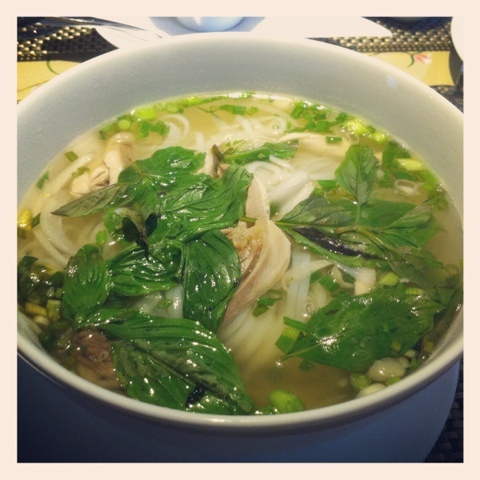 This entry was posted in Travel and tagged Breakfast, Ho Chi Minh City, Hotel, Ma Maison, Pho, Vietnam. Bookmark the permalink. Thank you so much for this article. Appreciate.